This Item is a Pre-Order and will arrive on: Wednesday August 09th 2017 ! APR173134 - From Bioworld. This Superman snapsuit is perfect for your infant sized Superman fan! 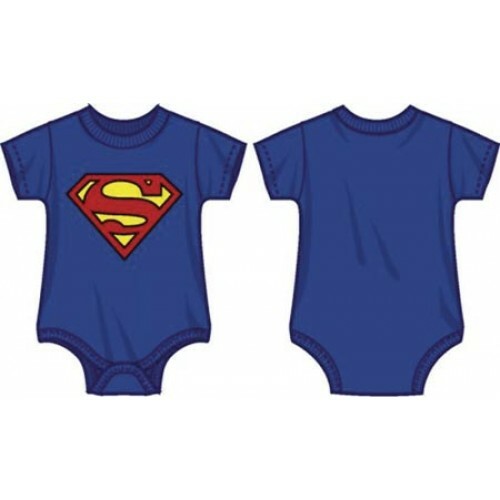 Made from 100% preshrunk cotton, this onesie sports the Superman Shield Symbol and a snapping bottom closure.